Is Beard Oil Critical For Beard Maintenance? What’s The Purpose of a Beard Comb? How Often Should You Be Washing Your Beard? Is Beard Wax Really Necessary? What’s The Purpose Of Beard Balm? Feel Like I Am Leaving Anything Out? The beard is one of the most raw and manliness things you can grow. However beard maintenance has become quite a complicated task over the past decade. 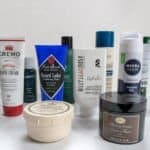 How can you cut through the clutter of all the products that the marketers are throwing at you and find out what you really need in order to have proper beard maintenance. 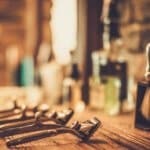 From beard oil to beard combs and everything in between, the beard maintenance market is exploding whether you like it or not. 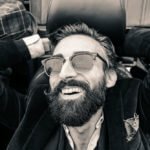 In this post I am going to break down the most popular beard products on the market today and see if they really are worth the price of admission. Before I explain that let me just give a quick primer to what beard oil is. Beard oil is an oil (well duh) that is composed of several different types of carrier and essential oils. One of the most common carrier oils that you may see in beard oil is jojoba oil. It’s an oil that most closely resembles the natural oil that is found in your skin. If your ever considering using beard oil, be sure to try one with jojoba before branching out to the other oils. On the other hand coupled with the carrier oils is another type of oil called essential oils. These oils are there for two reasons, primarily for adding the aroma and secondary for the some of the added benefits such as increased blood flow (helps with beard growth). There are a plethora of essential oils in existence. However if you have very sensitive skin, you may want to steer clear of the citrus ones. 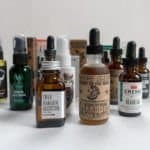 Will the Beard Oil Trend Continue? Beard oil has by and far exploded in the past few years. It really exploded during the December 2014 and has since taken quite a stumble. But this may be due to seasonal purposes, however, time will tell come the fast approaching Dec 2015. Buy Vs Making Beard Oil? If you are looking for your first ever beard oil to try out I would recommend checking out a generic brand this one on Amazon as it has over 2,000 reviews and has been rated relatively well (4.5 out of 5 stars) and will ultimately cost you about $14 bucks. For the premium beard oil vendors out there, by and far the most popular one is the Beardbrand beard oil. As mentioned earlier in the post, there are a TON of beard oil vendors out there. You would hope that with such a wide plethora of them on the market that prices would fall. Unfortunately that isn’t the case. As you can see for the Beardbrand version of beard oil you are paying around $25 per ounce (excluding shipping). Authors Note: Beardbrand does in fact offer 3 different $15 versions of their beard oil in their ‘white line’. Be sure to check them out. In fact the average markup on the premium vendors beard oil is at about 80-90%. 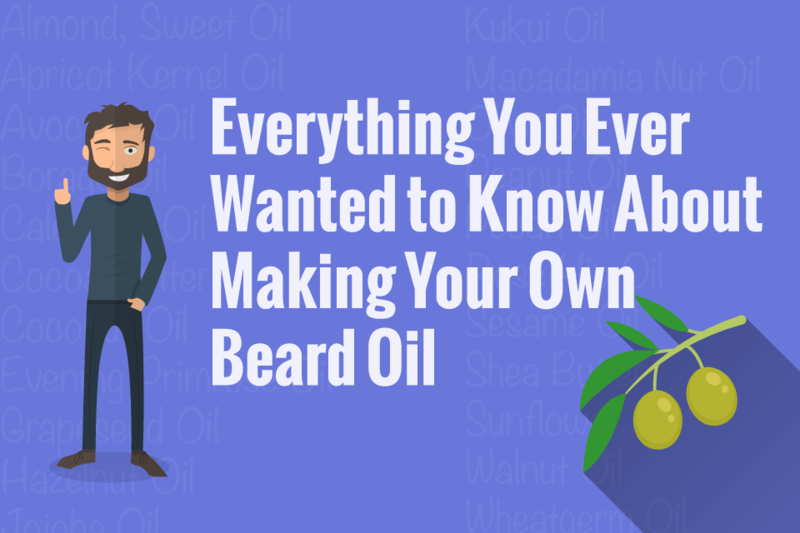 If you want to go the cheaper route, I would highly recommend that you check out my beginners guide to making your very own beard oil recipe. 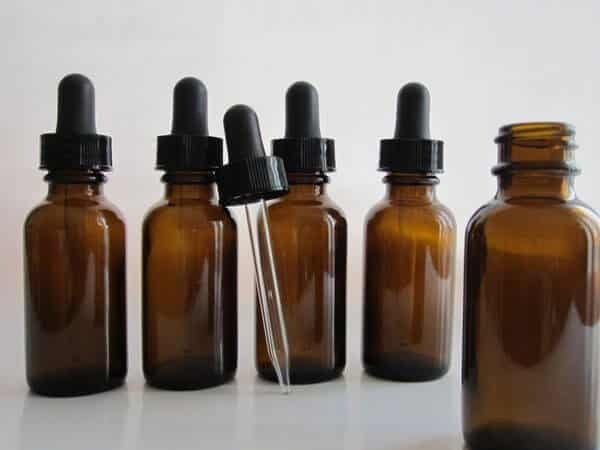 There you will see that you can make your own beard oil for about $5 an ounce. The beard comb can be quite the go to tool for your beard arsenal in the morning or at any time of day really (although you don’t have to worry about combing it more than a couple of times). You see a beard comb can be helpful in several ways that you would have never imagined when maintaining your beard. First off: The beard comb itself can help prevent ingrown hairs. You see when your beard grows in, it can come in several different directions – especially along the neck area. 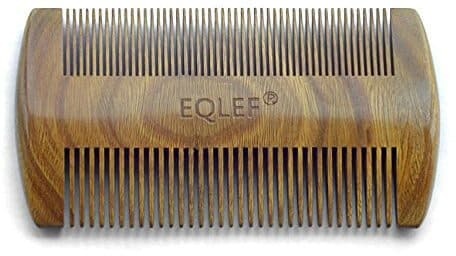 When you run a beard comb through it a few times in a given day it can help ‘train’ your hairs to grow in a proper direction. Once the hair becomes groomed to grow away from your skin, it greatly lessens the chances that it ultimately becomes ingrown. The second important part here in training your beard is to also train your mustache. 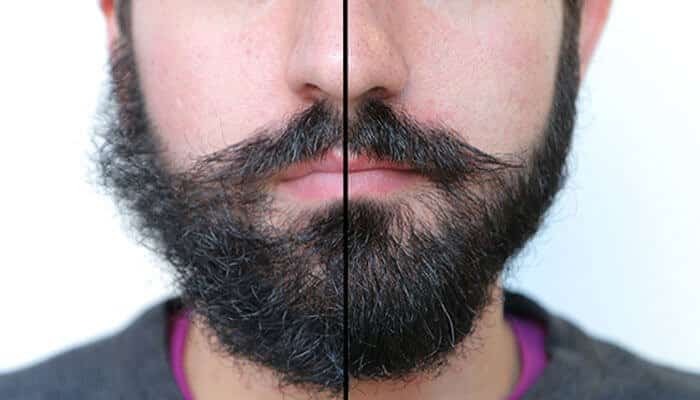 If you prefer to have a longer mustache that goes to the sides instead of trimming it completely off every few weeks, regular combing of the beard will help tremendously. The best time to comb your beard would be after a shower and AFTER you apply beard oil. The reason being for this is that when you apply the beard oil, the beard comb can help make sure that the oil is equally distributed along your beard. In addition if you comb after applying beard oil, you will have a much easier time untangling it. Can’t I just use a comb I have lying around? You see a beard brush is actually designed a bit differently than the regular old comb that you might have locked away in your medicine cabinet. The biggest difference is how the bristles are spaced apart between the two combs. If you look at the beard combs, they are typically spaced evenly apart in order to prevent any snagging or causing split ends. Often times you will see that the comb is split into two sections of widths. 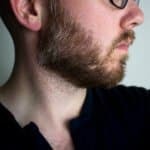 Beard brush vs comb – what’s the difference? When it comes between the classic boars head brush or a beard comb, a lot of it comes down to personal preference. Brushing is a bit more vigorous of a process and may lead to unintentional damage to your hair if you do it too often (i.e. don’t do it more than once a day). However with a beard comb, you can do it a few more times throughout the day without the risk of damage. 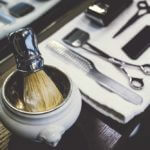 Materials are another big factor when it comes to deciding on your type of comb or brush. 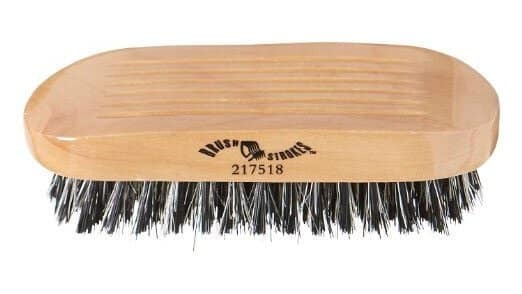 If you get the dollar store comb or brush it will likely be made of cheap materials that will cause static and break your hair due to the bristles being too close together. 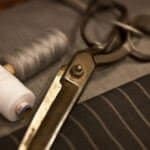 When picking out a comb, be sure to look for one that is handmade and is made from acetate. This will reduce static and look a whole lot better. Don’t worry the cost is only a few bucks more than your cheap budget comb. For the brush you will want to go with a boar bristle brush over plastic for many of the same reasons as outlined with the comb (i.e. static, hair breakage). When it comes to growing a killer beard, you actually probably don’t want to go too crazy. 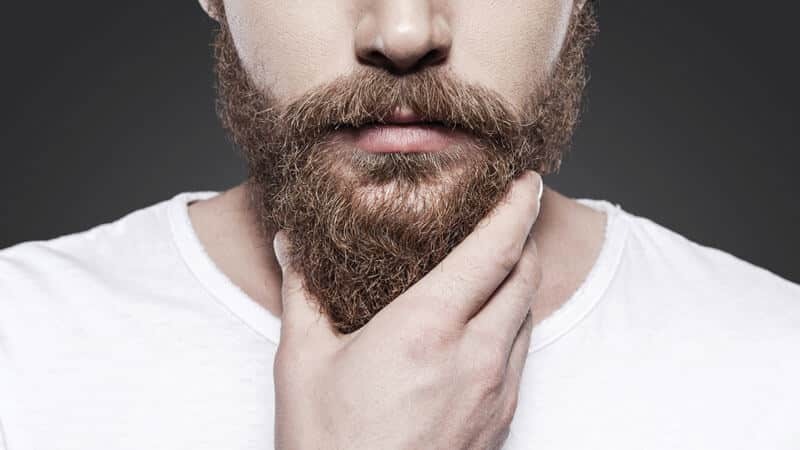 According to our recent survey of what women think of men and body hair, we found that women like a man that has anywhere between a short stubble and a medium length beard. Anything longer (i.e. a yeard) is considered unattractive. 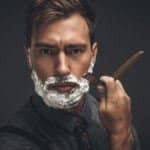 In fact this was further hit home by a study put on the University of New South Wales that found men were most attractive with a 10 day stubble. So if your looking to up your game a beard trimmer can be a critical piece to your morning routine. You see, when you go with a double edge safety razor or cartridge razor for that matter, you have no leeway between a close shave and a beard. Also if you have a horrible nack for getting some nasty razor burn or razor bumps for that matter, a beard trimmer will get rid of that once and for all. That doesn’t go without saying that there are ways to prevent razor bumps. There are a ton of beard trimmers out there. However as you can see here like this one, it has over 2,500 reviews and is under $20 bucks. Not bad for a easy way to look great for very little maintenance. 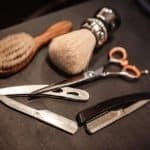 If you don’t want to come to grips with having a beard that is only stubble, then you should use a nice set of shears that will be perfect for the job. When it comes to your beard, if you are at a medium length (greater than .5″) you are going to want and wash it every couple of days. The reason being for this, just like the hair on the top of your head, the more frequently you wash it, the less of a chance that the beneficial oils from your skin get to absorb into the hair follicles. So washing it everyday is a bit of overkill. However if you can’t resist washing it every day, then you should definitely be pairing up your beard with some beard oil. This way you do have the occasional beardruff that may occur when you run your fingers through your beard on a regular basis. Regarding the actual method of washing your beard you can definitely go different routes. If its your first time, try using regular shampoo for a week and see how it turns out. If everything is great, then awesome! The next alternative that you can try is simply using the bar of soap. Personally I would recommend one that is loaded with moisturizers, this way you aren’t opening your beard to getting dried out and looking scraggly. The most expensive option would be to get yourself your own beard maintenance kit like this one here. As you can see, it contains both a conditioner and shampoo for your beard itself. Personally I haven’t tried it, but as you can see the reviews from other guys are generally really favorable. You see, the beard comb and beard oil both give direct benefits to your beard. On the other hand, beard wax doesn’t give you too much of anything. Beard wax itself is use primarily as a binding agent. If you want to sport an awesome mustache and have it held perfectly, then beard wax is great for you. The only case where beard wax would be absolutely necessary is if your beard literally looks like a porcupine. If that is the case and you have a hard time controlling it, I would first recommend beard oil, and if that still doesn’t work, then lopping some beard wax on top of it to try to get everything back in check. Think of beard balm as beard oil on the go. 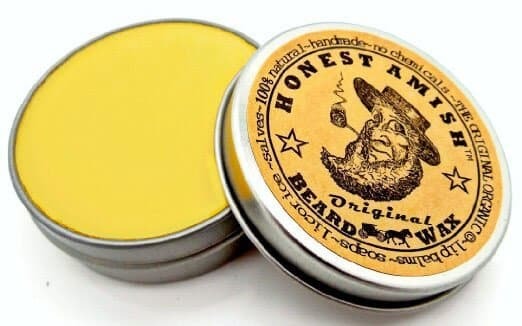 Many of the ingredients in popular beard balms like Honest Amish, contain several of the same ingredients that you would find in beard oil (i.e. Jojoba, argan, etc). However, beard balm not only has the conditioners, but sometimes will have a bit more styling agents infused into the pomade that gives your beard a bit of an extra hold. Since beard balm is a thicker substance, when it is applied to your beard, your beard itself will also appear a bit more thicker. So if your beard is a bit more patchier or thinner, beard balm would be the way to go. So should you just go with beard balm over beard oil since there are more benefits? For some guys this makes total sense. 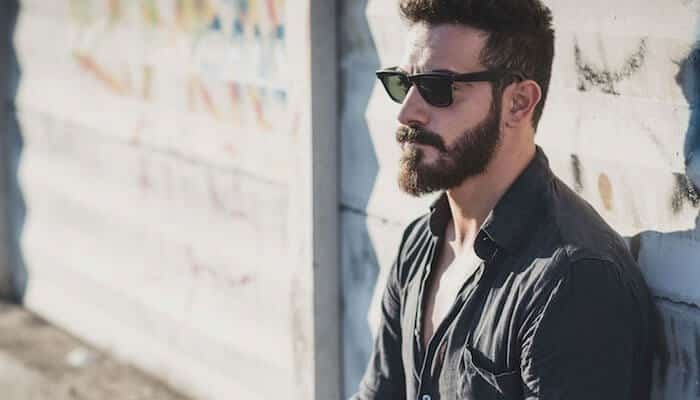 However the biggest difference between the two products is that the beard oil will typically give your beard a bit more of a sheen to it and have a bit stronger of a scent. On the other hand, beard balm as we just mentioned is more about the essential ingredients coupled with the ability to give it a nicer hold. In extremely cold or dry environments, you may want to consider using both. First you would apply the beard oil and then apply the beard balm on top of it. To my knowledge that is your complete walk through for complete beard maintenance. For the perfect regimen, you would want to start off by washing it every couple of days, then apply a beard oil or beard balm depending on your preference once you get out of the shower and have dried your beard off, and lastly run a beard comb through to make sure it continues on its way to growing straight in order to prevent any sort of ingrown hairs. 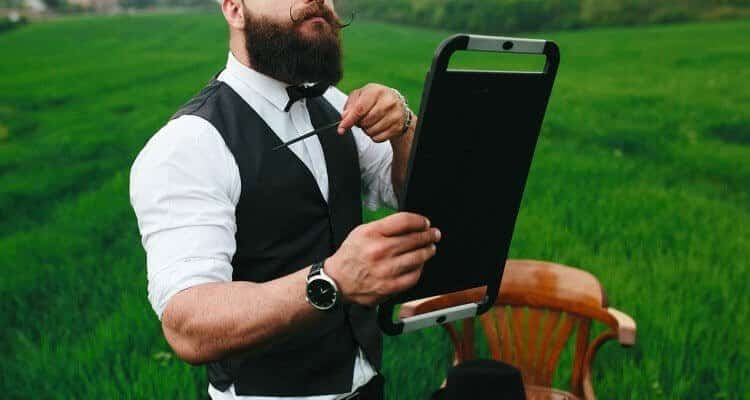 If you feel like I am leaving anything out, I would definitely love to hear what added step you have in your beard maintenance regimen and would happily add them to this list!